Are you interested in hosting your own Trailblazer Program event? We would love to help you introduce youth and their families to the outdoors! For a full description of each event and it’s included activities, click here! Please read the requirements and fill out the form below to start on your path to hosting your own event! All participants must (parent/guardian if under the age of consent) sign a Waiver and Release of Liability that releases the Sportsmen’s Alliance and Sportsmen’s Alliance Foundation and its Trailblazer program, staff, officers, directors, and volunteers from liability from their participation in the event. Promote the event as a Sportsmen’s Alliance Foundation Trailblazer Adventure Program to potential members, current members and families within the area. Provide ample staff and volunteer support for the Trailblazer Adventure Day. Proof of event insurance. 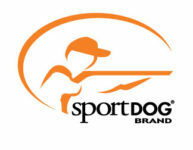 Sportsmen’s Alliance Foundation will also provide. Host is responsible for any permits (operational, health code, demonstrations, exhibit, etc.). Provide a free lunch & drink to all staff, help, and volunteers on event day. Agree that Trailblazer has the right to issue pre- and post-event news releases without prior consent from the host organization. This includes news releases, photos, and video from the event in both print and electronic media. Choose one of the following programs you would like to apply for. Check three hands-on activities you would like at your event. Pick one outdoor demonstration for your event. Pick one or two outdoor demonstration(s) for your event. Do you need more information about equipment-use grants for your event? *This form serves as an interest in hosting form only and does not confirm or serve as final documentation to host a Trailblazer event. Trailblazer staff will contact the submitter upon receiving this form.